So what can you do with 5 ingredients??? Make something AWESOME! This also takes only 10 minutes to make! I also make this with different cheese, whatever I happen to have. Mozzarella, Provolone, Havarti, Munster, Monterrey Jack, Queso Quesadilla, really any cheese that oozes when melted works great! 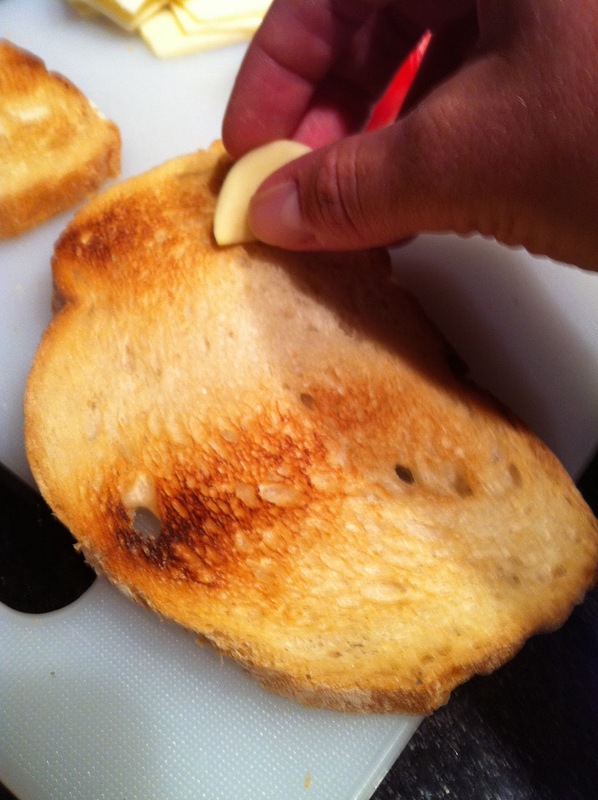 Once you have your bread toasted, rub the warm bread on one side with the garlic clove. This will give just a bit of garlic flavor. 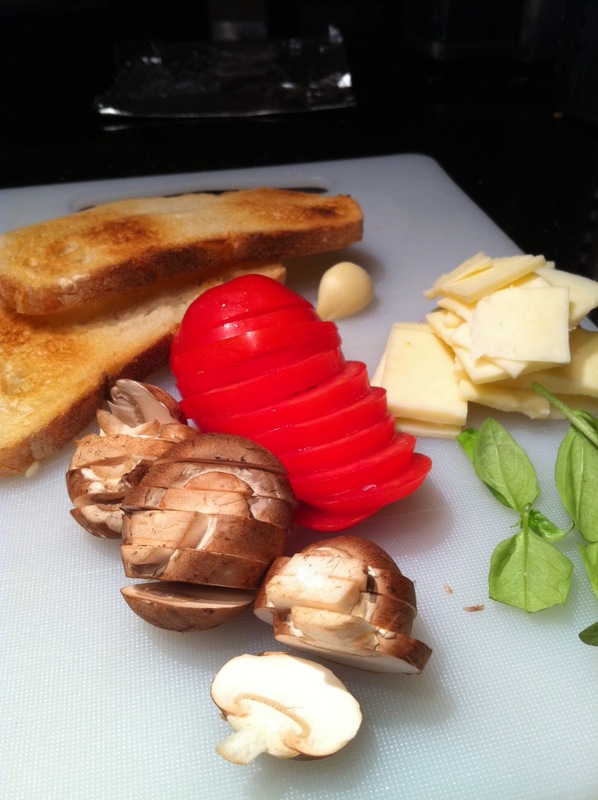 Then top the garlic side of the bread with the cheese, tomatoes and mushrooms. Sprinkle with a little salt and pepper. Then place the bread on a cookie sheet or foil. 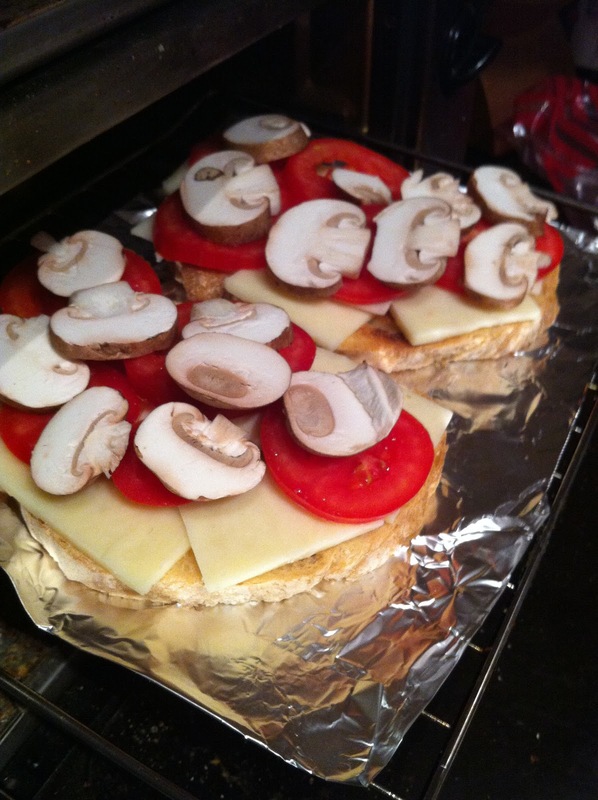 Put the topped bread under the broiler for 5-10 minutes, or until the cheese is bubbly and brown. I use my toaster over, but if you use your regular oven make sure TO WATCH CLOSELY. DONE!!!! I have basil growing in my apartment so I top this with it, but it is just as good without it! Also try a drizzle of balsamic vinegar if you have it.